New Delhi: The fate of the landmark anti-graft Bill (the Lokpal Bill) is uncertain with the three primary protagonists involved digging their heels in and sticking to their stated positions. The Congress, the dominant party in the United Progressive Alliance, supported the draft passed by the Cabinet on Tuesday, even as its president Sonia Gandhi said there were no differences between the party and the government. The primary opposition party, the Bharatiya Janata Party, wanted its suggestions on the functioning of the Central Bureau of Investigation incorporated and threatened to oppose the Bill otherwise. And activist Anna Hazare accused the government of leaving the investigative agency out of the purview of the anti-corruption ombudsman the Bill seeks to create in an attempt to protect corrupt politicians. The real issue, however, could be the way the Bill deals with CBI. “We are not going to accept it if the CBI appointment mechanism and other suggestions as mentioned in our dissent note are not incorporated... We will not only oppose but we will be harsh on the government," BJP leader Arun Jaitley told media. The BJP demanded splitting the investigative and prosecution functions of CBI in its dissent note to the parliamentary standing committee that studied the draft Bill. The government seems unwilling to concede the point. On Wednesday, Gandhi attacked the government’s critics saying that they were deliberately spreading misinformation that the UPA was not serious about the Lokpal legislation. Expressing her support for the Bill, Gandhi told reporters: “I will fight for the Lokpal Bill. Its a path-breaking Bill." Nor does the government want to give up administrative control of CBI, as demanded by Hazare. 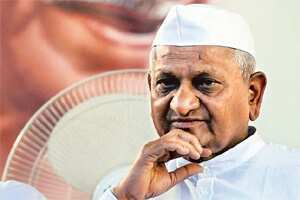 Expectedly, Hazare, who has gone on fast twice this year demanding a strong Lokpal Bill, confirmed that he would go on a three-day hunger strike from 27 December in Mumbai. The Congress is hopeful the Lokpal Bill will get through. “We must act and think positive. We expect collective wisdom of Parliament will do something," said Congress general secretary Janardhan Dwivedi, adding that the ruling party was not worried about any challenge from Hazare. In the extended winter session, Parliament is also expected to discuss the Whistleblowers Bill and the Judicial Accountability Bill. Opposition parties had sought discussions on the three key legislations that are part of the government’s strategy to tackle corruption.